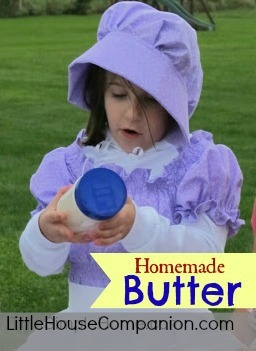 Homemade butter is delicious and easy to make. I remember the first time I made it. I was teaching my third graders. Honestly, I don't recall what we were studying, but it was such fun to make butter together. I served it on crackers. 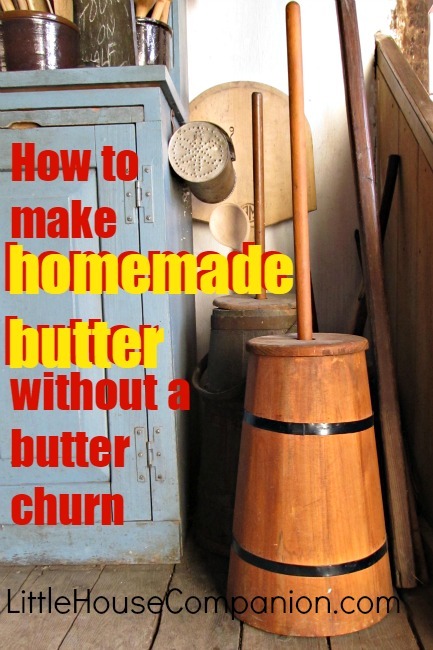 Fresh butter is delicious and you don't need a butter churn to make it. 1. Place marble, salt, and cream inside jar. 2. Shake jar until the marble cannot move around. 3. Check the jar. Butter should have formed. 5. Squeeze out any extra liquid from the butter. 6. Rinse butter in cold water. 7. Use as desired. This is real butter. When making butter with children, I prefer to let them taste-test the butter on saltine crackers. When making this for one of my presentations, I skip the marble. I also don't worry about rinsing the butter before placing it on crackers since the anticipation is already so high. In groups of ten or less, it's fun for the children to see the complete butter-making process. Did you know that the liquid that does not form into butter is called whey? (It is also called buttermilk.) To help children remember this, I remind them of a familiar nursery rhyme. Little Miss Muffet was eating curds and whey which they know better as cottage cheese. For Big Sister's Little House birthday party, I knew that none of the children had peanut allergies. Knowing that and our outdoor activities (that we continued while we shook the butter), I opted for a plastic peanut butter jar instead of using a glass mason jar. Please note, a marble can break a glass jar. Though it speeds the thickening process, I suggest avoiding marbles with glass jars. 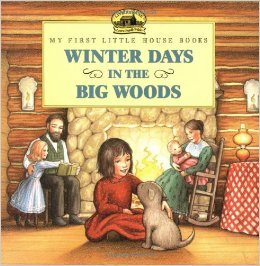 Consider reading Winter Days in the Big Woods (affiliate link) aloud while making butter together. 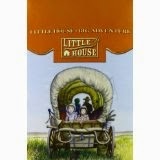 It helps to put old-fashioned butter making into context, and we all love a little more Little House. Don't forget! 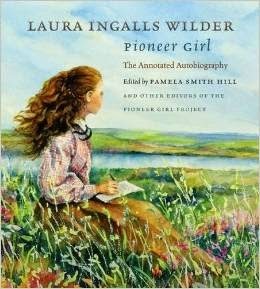 Pioneer Girl: The Annotated Autobiography of Laura Ingalls Wilder comes out November 20. Preorder now!